NASA will be holding a tweetup on November 9 at the Johnson Space Center in Houston, as part of the Space Shuttle Discovery’s 11 day mission that starts November 1. Tweetup participants will tour the center; view mission control and astronauts’ training facilities; and speak with managers, flight directors, trainers and astronauts. The participants also will meet the team behind the tweets on @NASA and @NASA_Johnson. To be considered for the tweetup, you need to register here (registration started half an hour ago) by 10am EDT on Thursday, October 28. 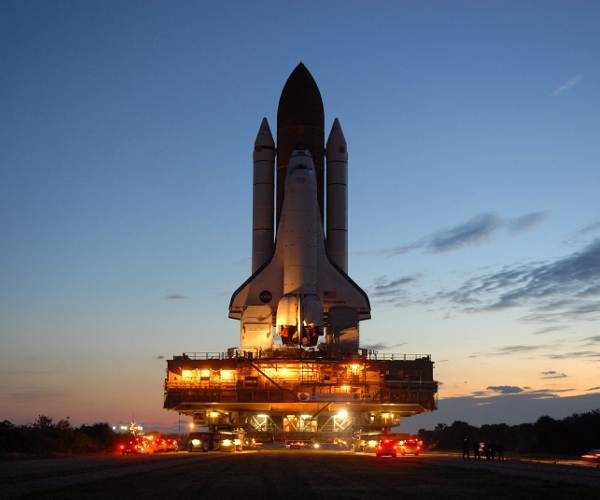 NASA will then randomly select 50 lucky winners to participate in the tweetup on November 9. NASA has also invited 150 followers of the NASA Twitter account to the Shuttle’s launch for a two-day event on October 31 and November 1. You can follow what those participants have to say about their experience here.